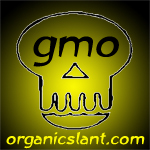 (Organic Slant) No wonder Americans are sick, we are being poisoned by the very food we eat. Here is a list of foods to avoid and the companys making them. 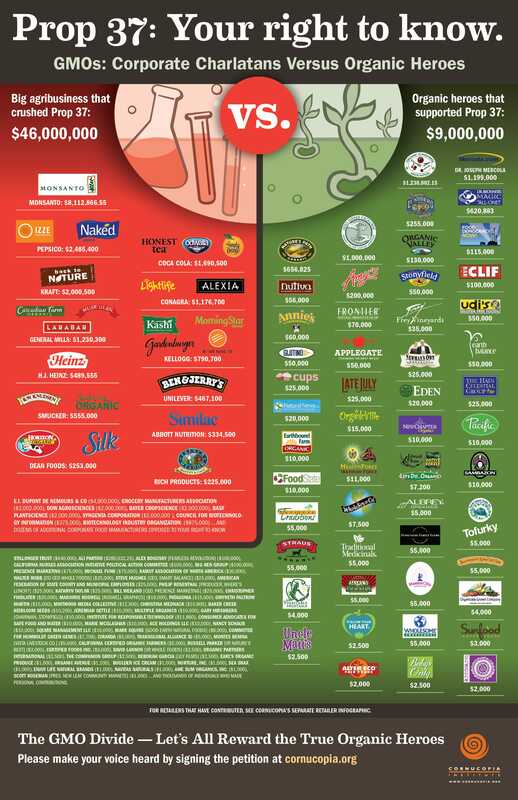 Wondering which companies oppose GMO food labeling in the United States? During the California election of 2012 Proposition 37 (The California Right to Know Genetically Engineered Food Act) sought to bring mandatory labeling to consumers. Big business paid to shut it down by contributing more than $45 million to oppose our Right to Know if GMO’s are in the food we purchase. Here is the compiled list and more information about which companies they are. Note: You can download this pdf file created by the Center for Food Safety that provides guidelines for buying non-GMO foods in your local stores. This tells you what you can eat that is not GMO contaminated. Is there a list of SAFE foods? Looking at this list, it doesn’t seem like there’s anything left to eat that is safe. Here are a few online resources for your grocery shopping. Just click on hyperlink. ● Hershey’s Bars, Kisses, Chunks, Nuggets, Miniatures, Milkshakes, Shell Topping, Triple Chocolate Dessert Toppings Sprinkles, Sugar Free Chocolates, Sugar Free Chocolate Syrup, Simple Pleasures Milk Chocolate With Chocolate Crème, Symphony Milk Chocolate Bar etc. For all products see link above.